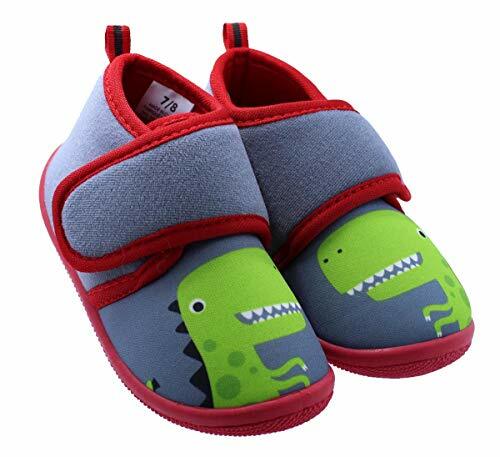 Keep your toddler's feet warm with these Dinosaur Daycare Slippers. Bright and fun, they feature a cute dinosaur graphic and secure hook and loop straps. Great for indoor wear, they provide support and protection without scuffing the floors. The durable outsole makes these suitable for daycare.